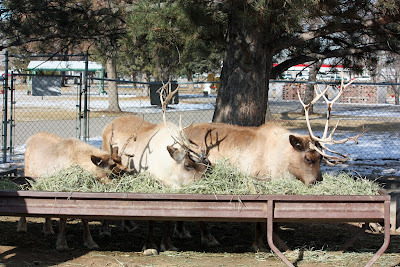 The resident reindeer at Cloverdale Memorial Gardens, having their lunch yesterday. We stopped by to wish them a Merry Christmas. wow, real reindeer! Happy Holidays! They look pretty content. Fueling up after their long flight I suspect? It's great to have resident reindeer!